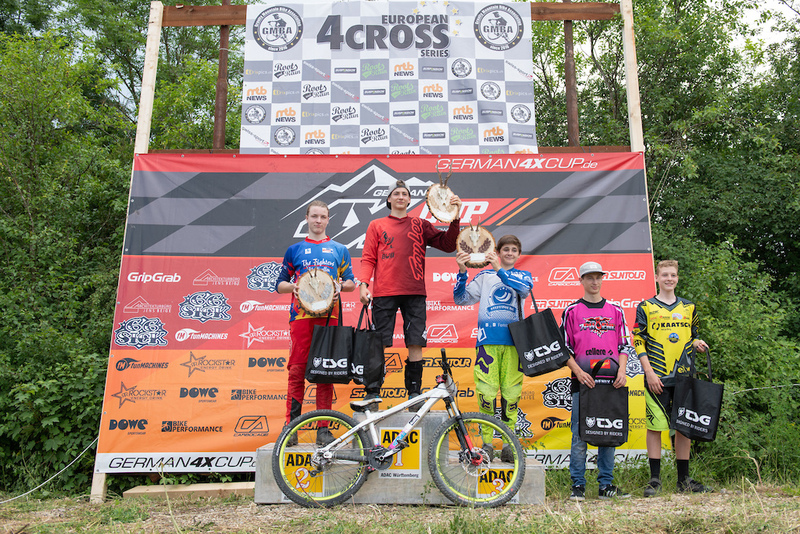 On Saturday June 9th the first Gold event of the European 4Cross Series brought a lot of international riders to Reutlingen. At the beginning of the day the track was a little bit sticky. After the sun came out and the riders started to practice the track dried pretty quick and spectators could be excited for some action. With a little delay qualification heats began. The youngsters were ready to go and gave everything to deliver their parents and spectators a good show. 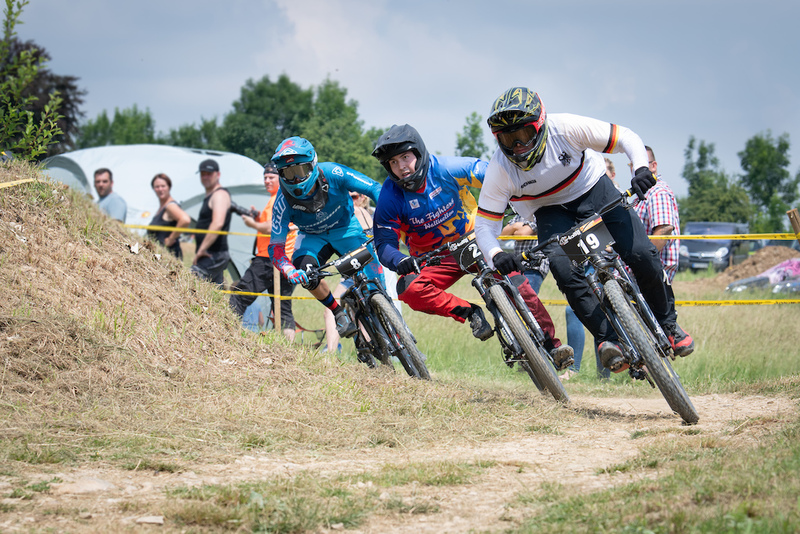 The first round of Elite Men: Local Benedikt Last showed his usual performance and took off right after the gate on to the pro section and won his first heat. 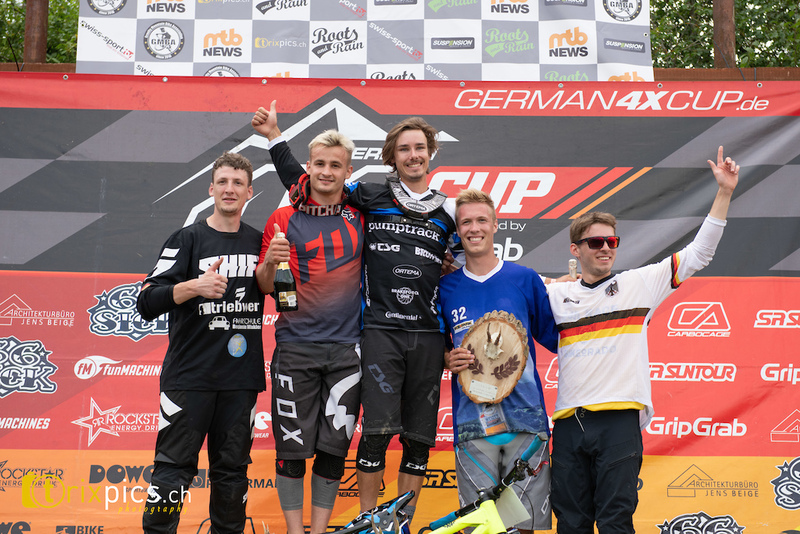 Gustav Dadela from Poland and German National Champion Ingo Kaufmann showed that they are candidates for the win too and won their heats as well. Unfortunately, not all heats were error free. Fabian Gärtner crashed on the first jump and took down Tom Scherer who was looking fast all practice long. Luckily both riders were fine and were able to continue racing. 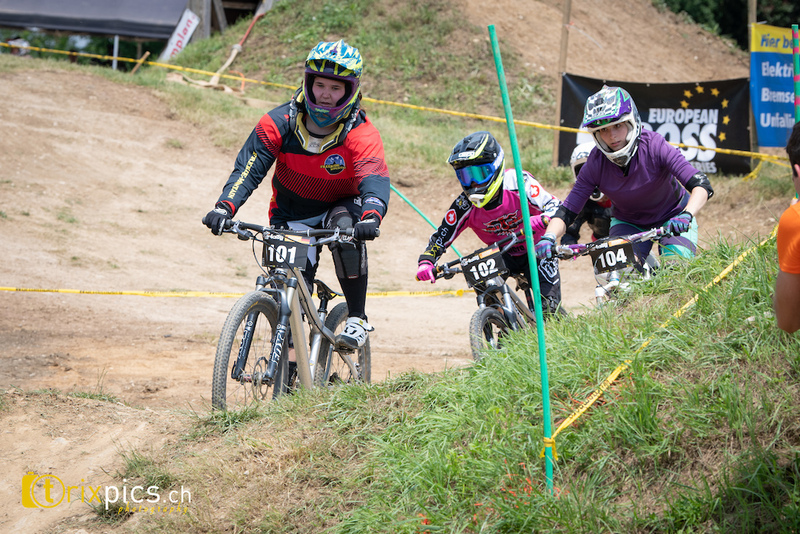 In the next heat, drama began for Ingo Schegk coming out of the gate and braking screws and his chainring. 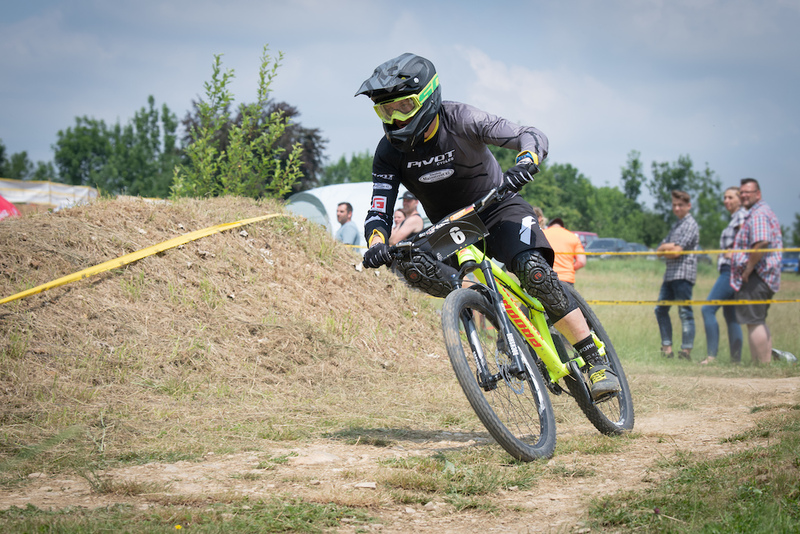 Ingo Schegk had a bad start into his day by breaking screws and his chainring in his first qualification heat. 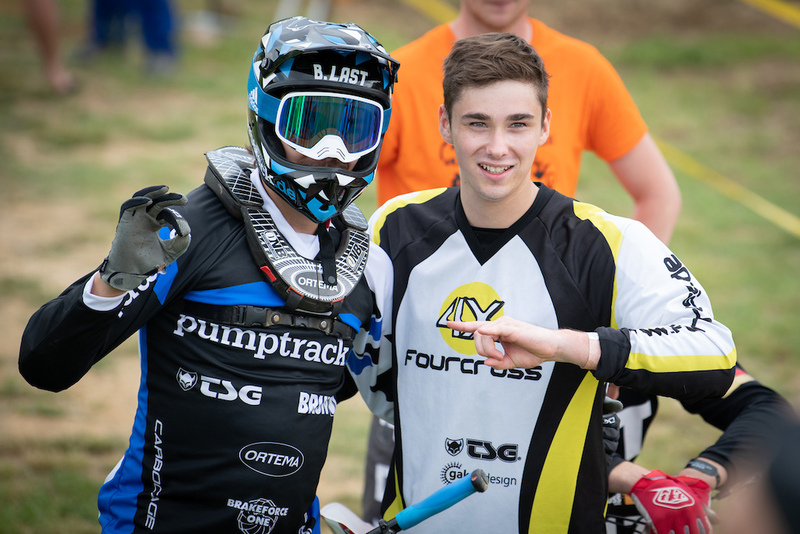 Luckily he could use Erik Emmrichs second bike for the other heats. The next two qualification rounds showed a lot of action and passings. At the end Benedikt Last, Gustav Dadela and Ingo Kaufmann won all three qualification heats and were going for the win. 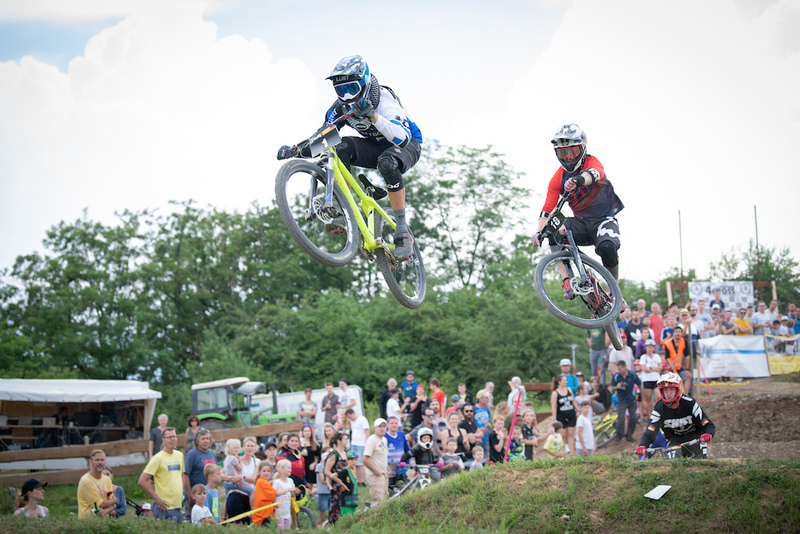 At the lunch break the slopestyler started to practice on the course while riders and spectators enjoyed the good food and drinks. It’s just awesome to eat such a good food there every year. Lunch was done and the finals began. 23 riders in Elite Men means 16 are going into the finals and some of them have to call it an early day. First Heat, Benedikt Last taking the snap and pulling towards the proline. Right behind him is Tom Scherer. Daniel Anger coming from the inside and looking like he is going for the proline as well. At the latest moment, he pulls the breaks and turns towards the chicken line. An action that costed Tom Scherer his speed for the proline and went out. In the next heat, Jojo Rauterberg went into the lead and defended it into the finish. Right behind him though was a big fight for second between Nikolas Mihaljevic and Jan Evers. They went back and forth until Mihaljevic passed Evers one last time right before the finish line. 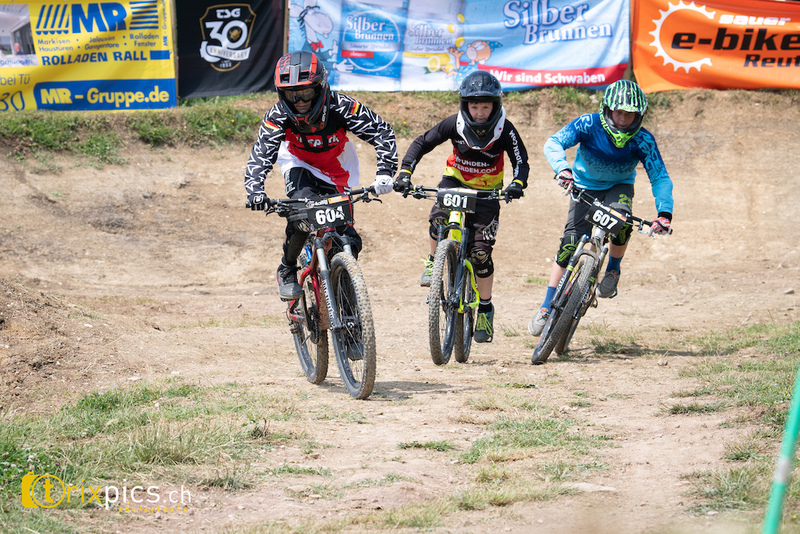 After a short break to let the riders recover a bit, semi-finals began. Even the younger categories picked up their pace one more time and showed that they are true racers. 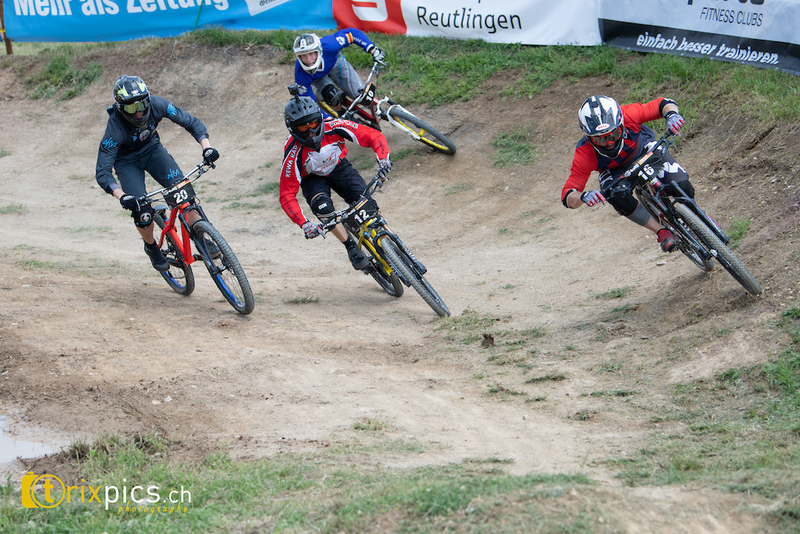 In the small final of Elite Men, Ingo Kaufmann showed his skills and saved himself 5th placed at the end of the day. In the big final there were Benedikt Last, Gustav Dadela, Nikolas Mihaljevic and Robin Bregger on the gate. Spectators getting loud and starring towards the gate. Gate drops and Benedikt Last pedals right to the front. Right beside him is Gustav Dadela pressuring towards the proline. Behind them are Mihaljevic and Bregger. On second straight Mihaljevic takes a lot of speed and attacks Dadela who is defending his position well. Bregger sees his opportunity to attack Mihaljevic for third and gets passed him. At the end, Benedikt Last won in front of his home crowd followed by Gustav Dadela and Robin Bregger. So good to see some 4X action! Tks Florian for this article!